I'm back again with a fresh manicure. 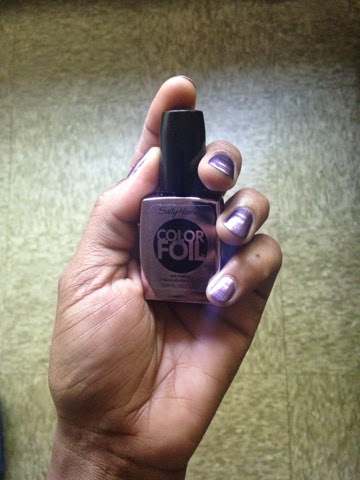 The color that I'm wearing this week is Purple Alloy from Sally Hansen's ColorFoil Nail Makeup. This is one of my favorite colors from the collection. Purple is one of my favorite colors, and this metallic purple gives my nails that fabulous shine and extra kick! you really post incrediable makeup post. i will be sure to test this product out! thanks !